Contents - Comments - Contact Me - Links - Nearby Villages - Notice Board - Search - What's New? You truly have done an amazing job with the website - it must have taken htours of work. It looks fantastic and I cannot wait to show mum when she comes in a few weeks time for Christmas. Took a look at your website last night - so good, gold standard. Hi Elaine, thanks for inviting me to write a little something for you about my time in Mapperley. To say I am impressed with your website is an understatement, so I am more than happy to do so. Mapperley is indeed a very special place; such rich memories. Thank you to everyone who shared their photos and stories and especially to Elaine for initiating this fantastic site. I am editor of the Society for the Protection of Ancient Buildings (SPAB) Mills Section. I do a newsletter every 4 months and this is circulated to our 900 members. I wonder if you would allow me to write up the very interesting history of the mill of Mapperley using material from your web site? Our members are always interested in mills that have been lost and no longer exist. Hello Elaine, As I arrived at the caravan here at Skegness, a lady shouted, "hello my duck. "just sounding like my dear mum who passed away many years ago. Her husband came to talk to me and as I thought, came from Ilkeston. As we chatted, memories flooded back of my school holidays and the excitement and experiences that I had enjoyed whilst staying with and visiting my aunties and uncles who lived in Ilkeston which seemed a world away from Doncaster in those days (1940s). Yesterday another caravanner came to see me with a cutting from last year's Ilkeston Advertiser, again more memories. It was then I noticed your name and web site which is brilliant. I was so engrossed in your website that I missed the football. I was so excited that I rang one of my sisters back home to tell her about it and she loved it too. I found one of my dads brothers, Charles, killed in 1923 at West Hallam colliery on your site. My dad Bertie would have been 113 tomorrow and I have a photo of him and many more young lads after their first shift underground at Manners Colliery 100 years ago. Both Charles and his brother John survived the 1914-18 war only to come home and die in the pit. Still searching John's death but thanks to your site I found Charles. 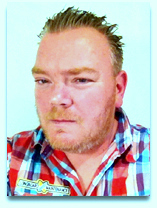 Your site was so fascinating, as I said I honestly missed the football it was that interesting and informative. Sorry to read about the loss of your husband Roger. I wish your history project well. There is no reason for it not to roll on into perpetuity as contributions continue. It is one of the few things likely to improve with age. It was whilst "Up" on Shipley Hill that I also took a couple of photos looking directly into the sun towards Mapperley Village and that is where my Random Thoughts stretched to and a recommendation to visit Elaine Sarson's website all about the history of the village. If I had known about the site last year it would easily have been included in the "Site of the Week" spot but since I have discontinued that feature I have added a link to Elaine's site on the Links page too so you'll be able to dip into it as often as you like from there. I would like to order one of the Shipley DVD's. I live in St Augustine, Florida, USA. My family connections are;The Daykins who were in the village around the early 1800s. They were living next to the Black Horse in the 1841 census. The Copes were also in the village in the 1841 census but before 1851 they had moved to Hardy Barn. It was such a pleasure to visit the village last year when we were on vacation and it was a true pleasure to find your website. Elaine the web site is just so fabulous such an amazing collection of memories – it has brought back so much that I had thought was all forgotten . . . I have dipped into the website again recently and enjoyed the new info, and the recollections of residents of bygone days. Here and there I have slightly different recollections, or additional recollections, which I will get round to organising for you. I am sure that many people will have enjoyed the fruits of your work already. Thank you for setting this memorial up of Mapperley School. I can't put into words how highly I think of this school and how I regularly think about the other children and staff that were there while I was there. What a fantastic site you have made, well done you must have dedicated so many hours to it. I must say that although I have only glanced at your Mapperley website I am very impressed and look forward to looking at it properly. I have had a look at the website you have created and must congratulate you on a most interesting start - I now have it on my favourites and shall look forward to seeing its development. 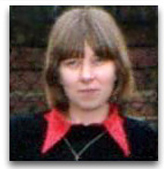 Elaine, you should be rightly proud of your achievements with the Mapperley History website. It's excellent. Over 1000 visitors to your Mapperley History site Elaine it's totally amazing well done for all your hard work. Loving the xmas page and the fact it says the day and even the time of the day you are looking at it! Just wanted to say what a fab website you have put together of the village... well done for all the hard work. Kip and I have been looking at the website, its fab!! really enjoyed it, well done.
" I love looking at all the photographs on the website, particularly the old ones. The comments about the village in the past are really interesting too. I hope that more people will contribute both photos and memories as these are so important. We have lost a lot of people who knew so much about the village and the people who worked for the Shipley Estate. History is important because things change so quickly. 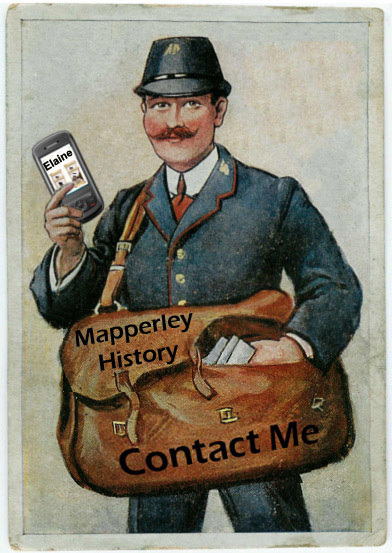 The Mapperley History website is great." "Not only has writing these Memories been a great pleasure to me, but as I have seen the Website develop I also find it a privilege to be able to contribute to such an excellent project"
"Your website is fantastic, a wonderful medium for creating a link between the Mapperley Village of peoples' memories and the next generation of the village. It manages to both remember and bring to life the characters of the village's past and bring Mapperley proudly into 2011. 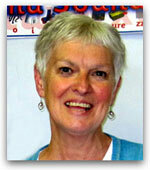 A fantastic achievement by Elaine, you should be very proud; the village is lucky to have you!" Very good Elaine; haven't read in detail as yet, but an excellent framework on which to develop. Checked the web site it looks GREAT, JUST GREAT. I am really pleased with the format. Well done Elaine it's absolutely brilliant, you have worked so hard on it. What a wonderful dedication to Roger, he would be so very proud of you. Is very proud of you. Just to say I have got to see your website and I think it is absolutely fantastic, you have put a lot of hard work and time into it and wow has it paid off. I have read some of the history namely your article and I will certainly read the rest when I have time. Congratulations I think its a wonderful website and a marvellous achievement. I personally would love to live in your village I think its a wonderful place especially where you live. Have just got back from New York so this was first opportunity I had to take a look, looks brilliant and the possibilities are limitless. Well done on all of your hard work! I love what you are doing with the Mapperley website. It makes me proud to know the village was and still is such a big Part of my life.